I’ve wanted to write about the Covington students for days, but couldn’t seem to find the best angle to approach the story. Every time I’d put it off for a day, I kept thinking that it was done and the public was moving on. But it isn’t going away. Like in that one town in Pennsylvania with an eternal coal fire under it, the fire keeps burning and it has driven sane people away with its toxic fumes. I’m fully disgusted by the spectacle of an entire mass media complex–represented by journalists, social media, and entertainment figures–inciting the mob to attack minors who did nothing worse than either stand there and smirk at a guy or voice their political opinions. This is the same media that has ignored the violent mob behavior of its ideological allies. The same one that calls for deplatforming people for merely expressing opinions rather than the explicit calls for violence that are now going unpunished on Twitter. Hell, it’s the people who keeps telling those of us who voted for Trump that we fell for a foreign psyops campaign when it looks like it was they who did in this instance. The first time I watched the video, I kept expecting to see someone hit the Indian or something with all of the outrage surrounding it. Maybe he’d get hit with a bike lock or trapped and cornered to be pelted with eggs? No, it was a mischevious smirk. Wait, what? What exactly did the students do that was so awful? Wearing MAGA hats? Did I miss a change in the rules about teenagers being encouraged to make political displays and statements in public? Remember that the same media that ran manufactured outrage stories on the Covington students all weekend is the same one who practically gave that loathsome David Hogg his own news and commentary show last year. He has said and did things in public far more insulting and inciteful than anything these guys did, let’s be honest. Whatever they supposedly did, suggesting that they should get punched or shot and their school burned down isn’t proportional. I sincerely hope that everyone who suggested that these minors should be terrorized and harmed faces the full consequences for their actions, along with the “journalists” who spurred it on with false reporting. The whole episode is the work of a media complex that is equal parts incompetent and malicious. We have seen it again and again whether it’s CNN threatening to dox a guy for sharing a meme or Buzzfeed lying so blatantly about the Mueller Witch Hunt that the Grand Inquisitor himself had to tell them to back off with the torches. It’s one thing when the media flagrantly lies and misrepresents public figures or when moron celebrities virtue signal about wanting to beat up the president. It’s disgusting, but the targets in those instances have fame and power to defend themselves. Yes, I know. Trump is now going to use these kids as a prop to bash the dishonest Fake News that he is perpetually battling. It’s hard to blame him when they so richly deserve it though. This was fully self-inflicted. I keep hoping with every story like this where the media pushes a narrative that is quickly discredited that it will start the pendulum swinging back the other way toward responsible and sober adult behavior. Unfortunately, I think we’re still heading for a bloodletting. This whole incident bothers me more than any previous ones because it shows me that even the young aren’t safe from the mob when it is deliberately turned loose by today’s utterly corrupt partisan media. Wherein Philips twice lies about being a Vietnam veteran. “What is the Kentucky law about making threats to Covington Catholic specifically? Is there a law against it?” Willie asked Rob Sanders. Whatever happens these kids’ lives have been changed. Will they continue to be hounded long into adulthood? Unfortunately, probably yes since the Twitter mob have selective but long memories of nonexistent offenses. But it looks like the few honest liberals left have been backtracking while others have been backpedaling as in deleting their tweets in the hope that nobody will remember them. William Price is a piece of work, but he’s gotten his fifteen minutes and it won’t be long before he’s running for the Democratic nomination. 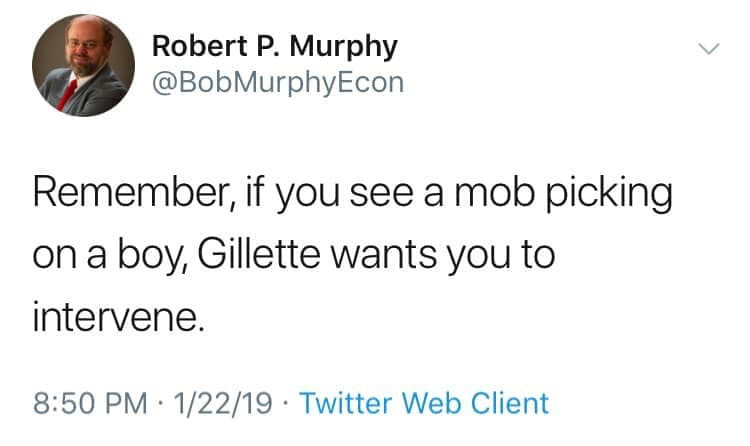 Disney producer Jack Morrissey apologized for suggesting that the Covington students should be murdered with a wood chipper. Not good enough. He must be fired and permanently disgraced. Nobody can be allowed to threaten violence against children and keep working for Disney or anywhere else. Roseanne was ruined for much less than this. OT but it looks like Venezuela has a new el presidente. If true, then good riddance to Maduro. This guy just cut the Gordian Knot of the social media news cycle of the past two weeks. Good summary from AS I thought….